Enshrined in the most gentle, romantic and harmonious landscape, Casale Sampieri is a real treasure sitting between Siena and Chianti, enjoying the best both have to offer. Restored and decorated by its art loving owners, the property offers a peaceful retreat in what seems to be the perfect marriage of tradition and innovation, country life pace, beauty and modern comforts. The property features a small, yet inviting salt water pool - ideal for cooling off on the hottest summer days. The area is beautifully breezy and sitting outside is always a real pleasure! The property was restored with a strong sense of respect for the environment, and was not intended to be based around a huge swimming pool. This is a place where people come to live the countryside with love and respect, with all commodities and luxury. Casale is an old farm on the hills of Siena’s Chianti region. It is in a panoramic, secluded area that offers maximum privacy, quiet, and great possibilities for walks in the surrounding woods. The housing complex is composed of a big white building steeped in the green of the vineyards and olive-groves. The building is divided in three independent apartments: river, moon and zoo. Moon is currently used by the owners. 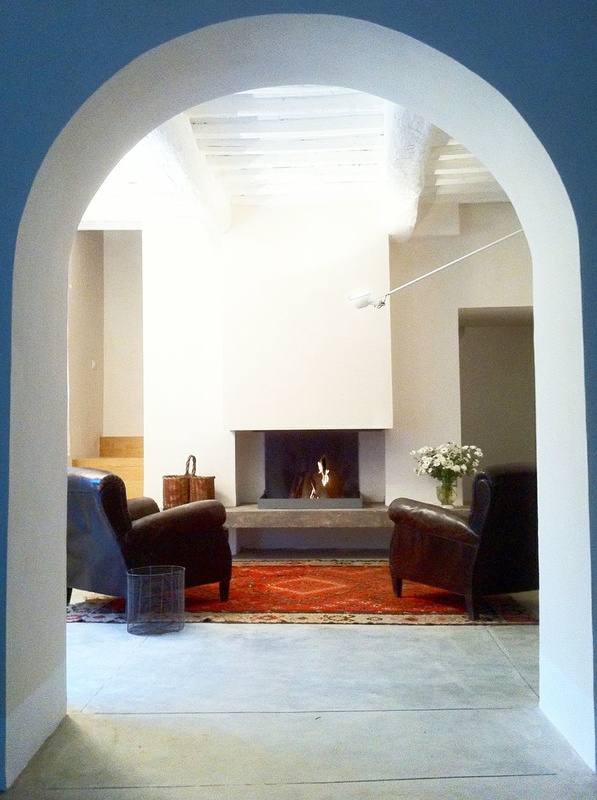 River is the largest of 3 independent apartments on a larger country house completely restored in 2012. River is accessed from the ground floor, directly into the U shaped living area, with a bright and spacious room with an inviting fireplace on the right and a spectacular dining area on the centre and a fully equipped kitchen with double sink, dishwasher, fridge, freezer, toaster, coffee machine on the left. Round the corner of the kitchen sits the staircase leading to the first floor, hosting 3 double bedrooms each with its own bathroom. The bedrooms offer stunning views over the surrounding countryside, made of farmland, olive groves and vineyards and Siena's Bell tower and Duomo in the distance. River has a private verandah, too just opposite the house. The verandah hosts a very large table and a BBQ for eating outside in most seasons. Luna (moon) is a charming 2 bedroom, 2 bathroom apartment sitting on the first floor of Casale Sampieri. Inside, Luna features a welcoming lounge with a modern fireplace, the American style kitchen and dining table. Across the living area sit two double bedrooms and 2 bathrooms, one is en-suite. Downstairs, in the courtyard, are a shared salt water pool, a wood oven, a lovely panoramic terrace equipped with sun loungers and umbrellas to enjoy the marvellous views and breathtaking sunset. 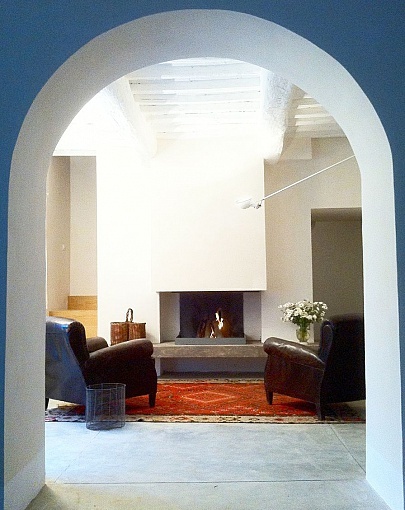 Zoo is the smallest of three independent apartments at Casale. A glass door leads into the cozy lounge with fireplace off which the dining room and kitchen are accessed through an inviting arch. Behind the fireplace sits the staircase leading to the first floor hosting a large bathroom with shower and a spacious, bright bedroom. The name 'Zoo' comes from the many pieces of art and furniture depicting animals which decorate the house. Outside the house is a private pergola with table, chairs and comfortable seating to enjoy the countryside, and BBQ! The pool is about 30 metres away, on the opposite side of the house, in a descrete position.